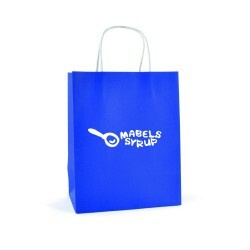 The best gifts come in printed bags. 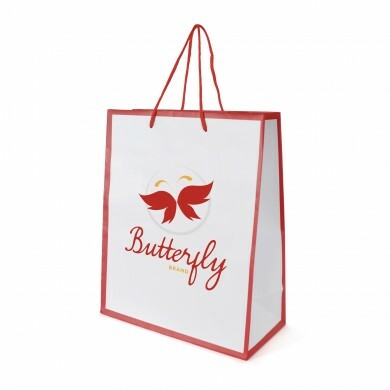 Create your own range of high quality, low cost paper bags with the various sizes, colours and options below. 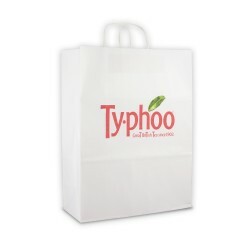 Catch your customer's eyes on the high street. 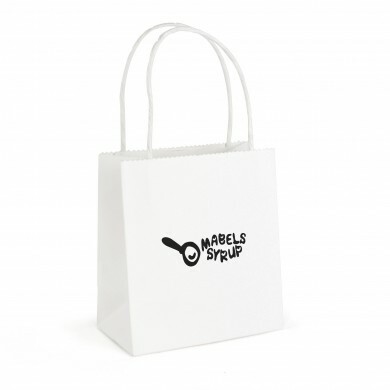 Research has shown that successful branding boosts profits. 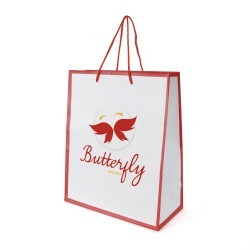 When organising a giveaway or gift bags for employees or customers, branded paper bags work to keep your company alive in the minds of anyone who take a quick glance. 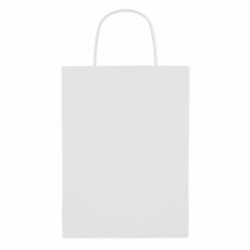 How can these affordable bags work to improve revenue? After all, they are often reused, and then placed into recycling. How much could it help improve a business or branding strategy? We've got the inside information you're looking for. 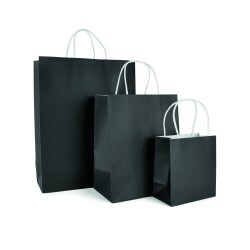 Buckle in tight because we're going to unveil why custom brand name paper bags are a complete game-changer! Think about it: visual aids are everywhere you look. You can't walk into a room without seeing a logo for a brand, right? 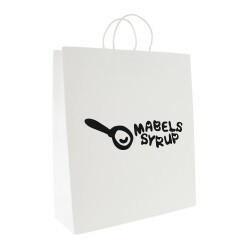 Your customers buy something then leave the store carrying their item in a bag with your logo on it. That means other people outside will be seeing the bags they're carrying. Therefore, it's also important to have an eye-catching logo - you can add color or an intricate design, however with our custom paper bags - it's often best to print in a single colour to keep costs lower. Be sure that it pops and draws attention, but ensure that the wording is readable. 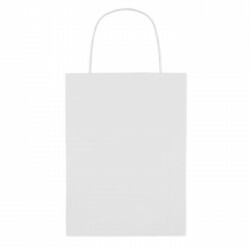 The last thing you want is having a nice, cute bag, but no one understands what it says. Invest time in your logo creation. How you represent your brand is vital to a branding strategy and, more importantly, its success! But wait, why is branding so important? Credibility - does your customer trust your brand? A staple of quality - does your customer believe you always deliver high-quality? 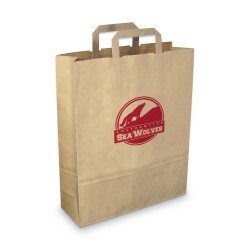 Branding and logos help advertise for your company, outside your store and off-line. As you can see, there are several details that make branding vital for your business. It increases the chance for success and higher profit. Increase your success by using more than only visuals; make it with quality! 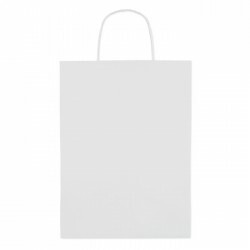 On most paper bags, you'll see a recycle symbol. 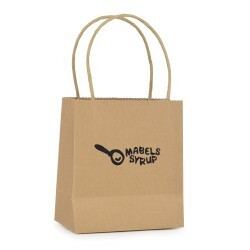 You can also choose to make your custom paper bags from recycled materials. Either way, show your customers you care about them and their environment. Use environment-conscious materials to build a credible brand. "Zero-waste" is better than contaminating the environment. Avoid drawing negative attention to your brand. It's all about what you're saying without saying anything. Think about the details, quality, materials, waste, and what your brand represents. Don't tell - show it! By showing your customers you care, you're building a trustworthy relationship. It'll draw old customers back and new customers in! 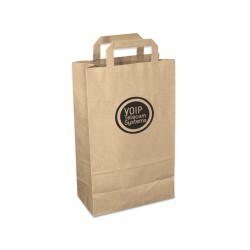 Start building your custom paper bags today - just use our online quoting system! 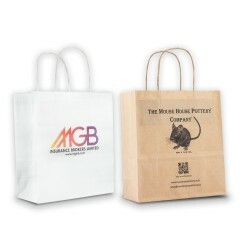 If you're looking to do a promotional event, drawstring bags are another alternative. 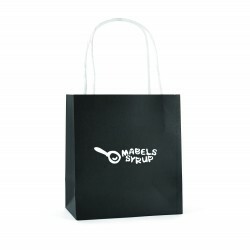 We've all seen universities and academic institutions using drawstring bags to provide a quick and easy way to carry documents and accessories. 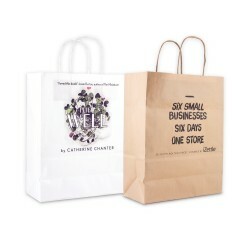 When branding for your business, going the extra mile adds value. Taking care of the environment is how you can show that your business values the natural world - join our campaign to reduce and eliminate the use of single use plastics today!